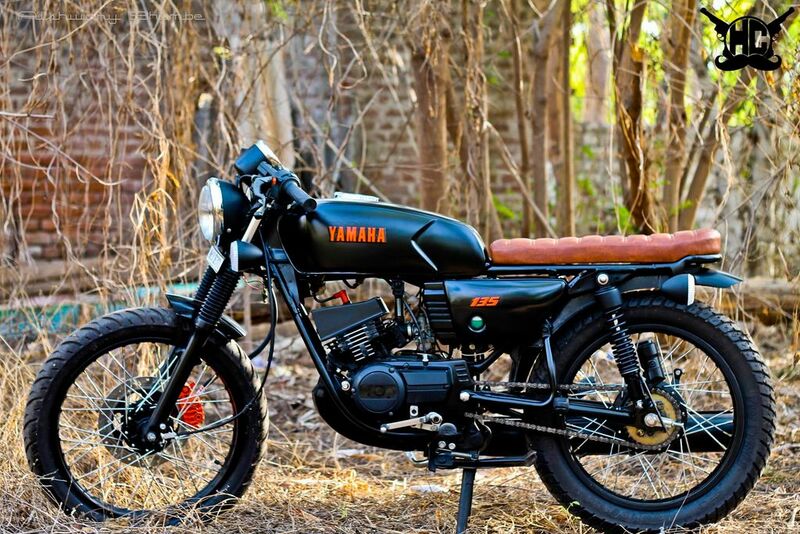 Yamaha RX135 is one of the iconic models of past and enthusiasts adore the bike. But most of the RX135 in the country are not in great condition and only true bikers will take time out to make them new. 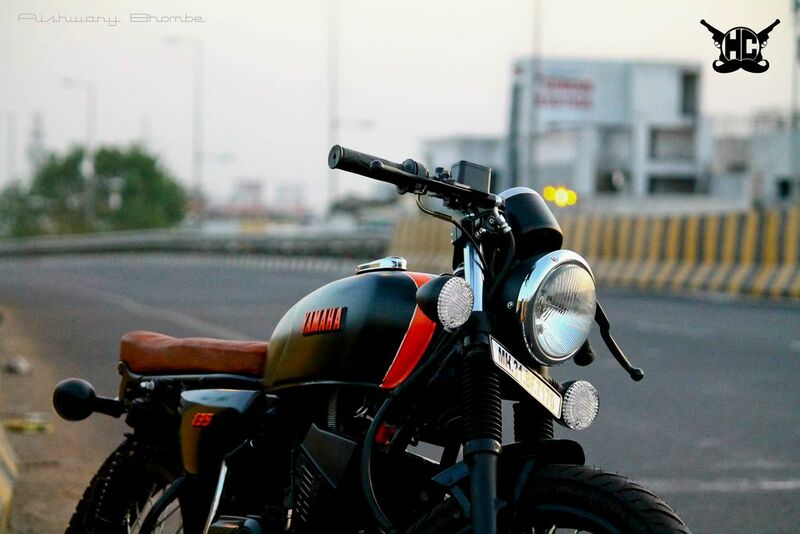 Rohit Patne from Mumbai own a RX135 and he was looking for a customization shop to restore his RX135. Even though he contacted many custom shops across the country, he was not satisfied with any of them and finally found Hindustan Customs based in Nagpur. Before sending bike for modification, he finalized the design with founder of Hindustan Customs and he shared all the details of customization process to Rohit. They decided to give café racer design theme for RX135 and most of the stock parts are replaced to give unique look for the bike. The final product is named as Amber and the design is simple like most of the other café racer bikes. The custom shop retained same headlamp from stock bike along with telescopic suspension at front. 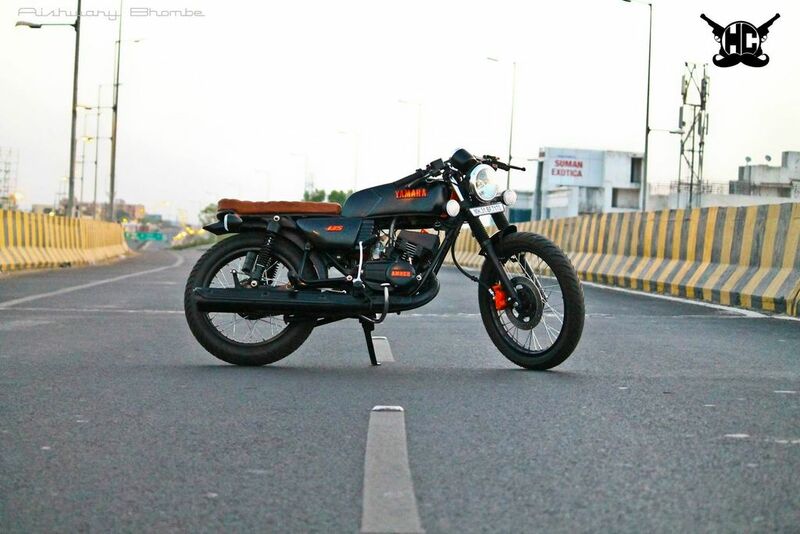 Hindustan Customs has given new fender at front, which is small compared to stock unit. The single piece handlebar has been replaced by new clip on handlebar and the custom shop has given new single pod instrument cluster. The Amber comes with a new custom made café racer inspired fuel tank, which goes well with the design. The custom shop has given new single piece seats and it is wrapped in leather for premium look. 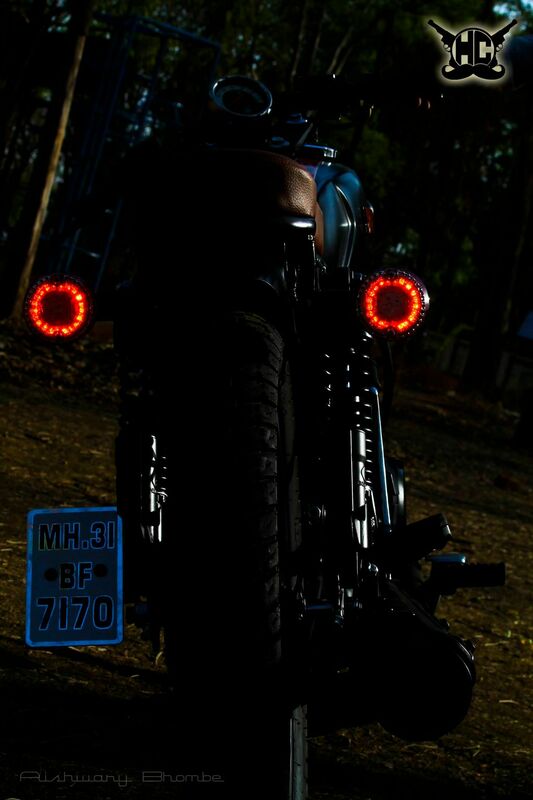 The rear doesn’t get tail lamp and they have given custom LED indicators, the number plate is placed on left side. The Amber also gets new gas charged rear suspension for comfortable ride and they haven’t changed riding position of stock RX135. 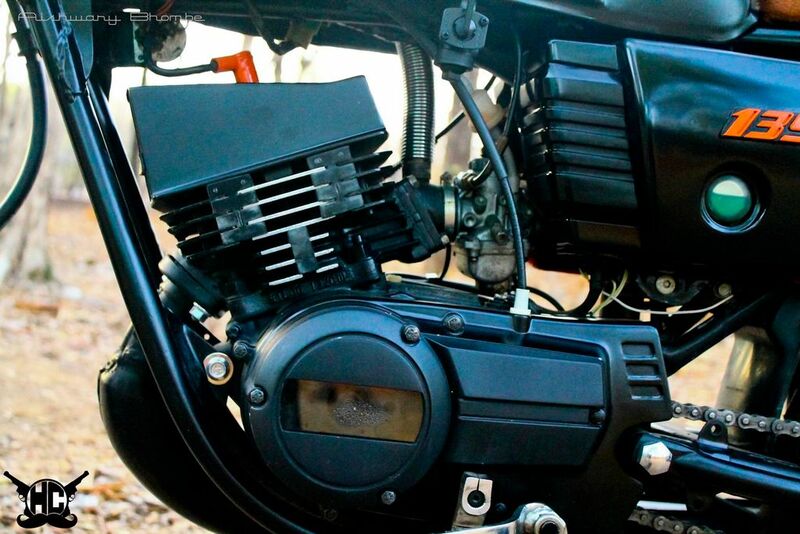 The engine remains stock as it is powered by 132 cc two stroke unit producing 14 bhp of power and 12.25 Nm of torque. This engine is mated to 4 speed gearbox. The custom shop has also given new exhaust for sporty note. The custom shop hasn’t revealed details of price and time took to complete modification.